The Nokia 7 has been launched to fuse design with high-end camera features - but you’ll probably never get your hands on it. That’s because it’s only going to appear in the Chinese market as it stands, as it’s been targeted for the Asian region. That explains why the Nokia 7 is running a mid-range Qualcomm Snapdragon 630 chipset with up to 6GB of RAM, which is an odd pairing but common in Asian handsets. However, the Nokia 7 is about style first, with the brand calling it a ‘design-led’ handset - and with an aluminum body and 3D curved glass edges, it’s easy to see why that’s the case. 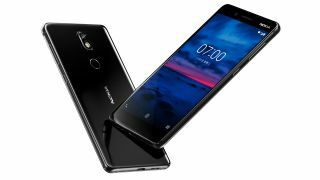 We first reported on the Nokia 7 back in March of this year, so it’s taken a while to get to market - however, with the rebirth of Nokia from HMD Global only just underway, it’s clear the brand is launching things one step at a time. The Nokia 7 packs in the much-pushed ‘bothie’ feature from the Nokia 8, allowing you to take pictures and video at the same time using the rear 16MP f/1.8 and front-facing 5MP f/2,0 snappers on the device. The Nokia 7 also makes use of Carl Zeiss lenses, as well as using OZO technology to provide clear, 360-degree sound recording. That’s on top of a 5.2-inch Full HD display, which isn’t the highest-spec on the market but will do for a phone of this size. The phone is packing in a 3,000 mAh battery, and will be upgradeable to Android Oreo when it lands later this year or the beginning of next. The most impressive thing about the Nokia 7 is the price, coming in at ¥2,499 (around £285 / $370 / AU$480). Whether it makes it out of China or not is yet to be seen, but you can pre-order the phone from today, with the Nokia 7 release date set for 24 October.